The Reserve Bank of India (RBI) will do well taking a closer look at the backyards of cash hoarders, and its own, when it attempts to determine the exact reasons for a sudden, nationwide cash crunch despite printing enough currency. A shortage of currency in circulation cannot be cited as the reason for the current cash crunch, for the simple reason that cash in circulation at present is at its highest levels since the days of demonetisation. First, large scale cash hoarding by institutions including political parties ahead of the election season in crucial states and ahead of general elections next year, triggered the cash crunch. At least two senior bankers this writer spoke to highlighted this and said investigators needs to take a closer look at this possibility. This is particularly true about the Rs 2,000 notes that were introduced post demonetisation, in November, 2016. Political parties may be in a hurry to collect as much cash as possible to run their operations, as cash remains king in the system despite all talks of digitalisation. Since most political parties are likely to be involved in such cash hoarding activities, only an independent probe can help dig out any hidden cash pile -- money that should ideally be in public circulation. 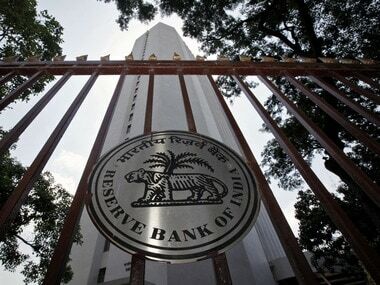 Second, the RBI’s withdrawal of Rs 2,000 notes from the system spawned the cash shortage. Last December, a State Bank of India (SBI) report pointed out that the RBI may be hoarding Rs 2,000 notes to kill the bills gradually. The report cited information provided by the Ministry of Finance in the Lok Sabha that the RBI printed 16,957 million pieces of Rs 500 notes and 3,654 million pieces of the Rs 2,000 notes as on 8 December 2017. The total value of notes printed translates into Rs 15,787 billion. The report takes into account another set of data (from the RBI), which is the currency in circulation on the same date (8 December, 2017) and subtracts the value of small value notes up to March 2017 provided in the RBI annual report from it (Rs 16,825 billion-Rs 3,501 billion). Thus, it arrives at the value of high denomination notes in circulation at Rs 13,324 billion as on 8 December. 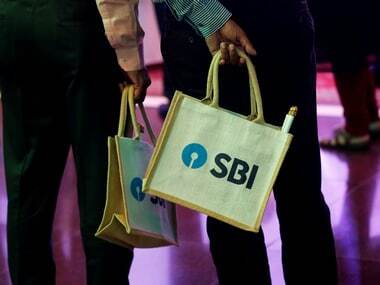 Now, taking the difference of the value of total printed high denomination currency as on 8 December (Rs 15,787 billion) and the total value of high denomination notes in circulation, the SBI arrives at a figure of Rs 2,463 billion, ‘which may have been printed by the RBI but not supplied in the market.’ According to the report, even this Rs 2,463 billion may be on the lower side. 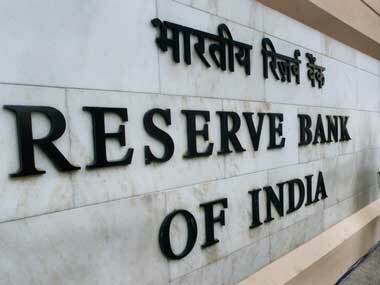 “As a logical corollary, as Rs 2,000 denomination currency led to challenges in transactions, it thus indeed seems that the RBI may have either consciously stopped printing the Rs 2,000 denomination notes, or is printing it in smaller numbers after having printed enought to normalise the liquidity situation. This also means that the share of small currency notes in total currency in circulation now may have touched 35 percent in value terms,” the report said. Now, already, the gap between Rs 2,000 notes and the Rs 500 notes, in the system, is huge and transactions have not been smooth with Rs 2,000 bills. If the Rs 2,000 bills disappear from the system even before a mid-denomination (say Rs 1,000) is introduced, it can lead to a huge cash shortage in the system even with the availability of Rs 500 and lower denomination notes. The fact is that banking system is yet to return to normalcy with respect to cash circulation post demonetisation. Various factors are at play. This is something the bank workers' association too has pointed out. 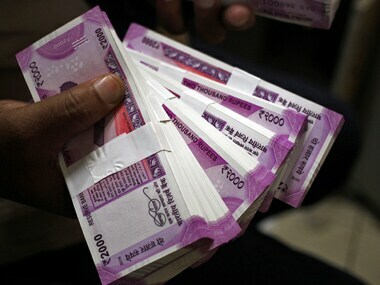 Banks have been facing a cash shortfall by 30-40 percent and this is mainly due to a shortage of currency notes of higher denomination, according to the All India Bank Officer's Confederation (AIBOC). That apart, concerns about the government's Financial Resolution and Deposit Insurance (FRDI) bill too may have played a critical role in triggering the current cash crunch. There have been reports of people queuing up outside ATMs, in Telangana and Andhra Pradesh earlier this year, to withdraw cash over worries that they could lose their hard earned money should banks shut down. The government has done a shoddy job of allaying concerns about the FRDI bill. Blaming cash suppliers for a lack of cash in ATMs is a futile exercise as banks are answerable for cash fed into their ATMs; suppliers only handle the logistics. While all the above reasons might have caused the cash crunch, the biggest ones could be cash hoarding by political parties and the RBI’s own failure to bridge the gap between the two high denomination notes in the system -- withdrawing Rs 2000 notes even before introducing Rs 1,000 notes.